Gang of Four are the post-punk gods, no two ways about it. They were there in 1979, playing and inventing and stripping back and being anxious about their bodies and their society and all of that good stuff. 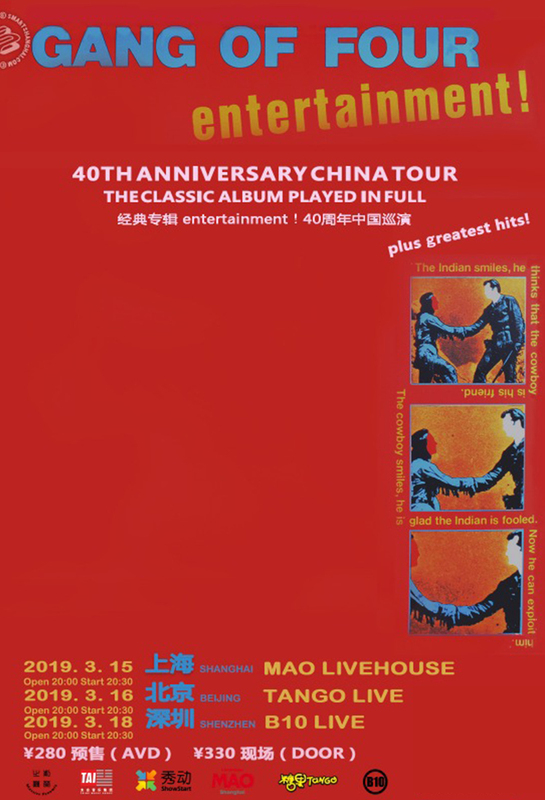 Now, 40 years later, they are touring China and playing "Entertainment" in full! Extra exclamation points!!! Unmissable for those into the post-punk history and sound. 280rmb pre-sale or 330rmb on the door.